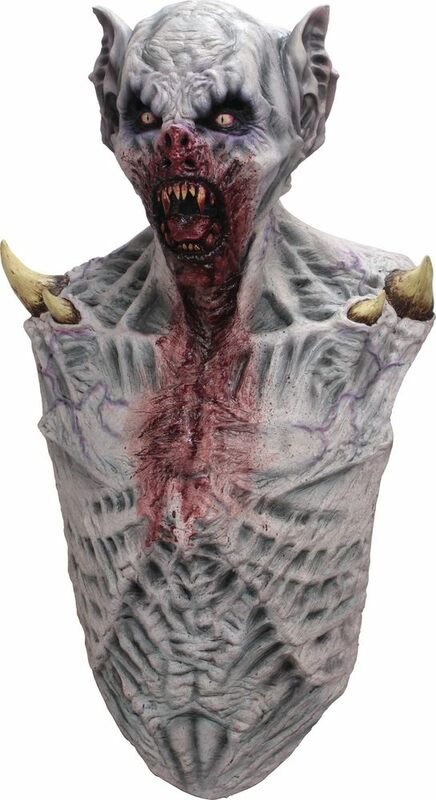 This fearsome Vampire mask with attached chest piece has his last victims blood trail running down his chest and horns protruding from his skin and bones body. Be sure to stay out of the sun or risk turning to ash. The Vampire Super mask is the perfect finishing touch to your vampire costume. Full over-the-head latex mask with attached chest piece. One size fits most adults. I just got my Vampire mask, and boy, it's huge! Excellent detail, plus four nose holes (perfect for breathing!) The quality is excellent! I recommend this mask to anyone who wants to really scare people!